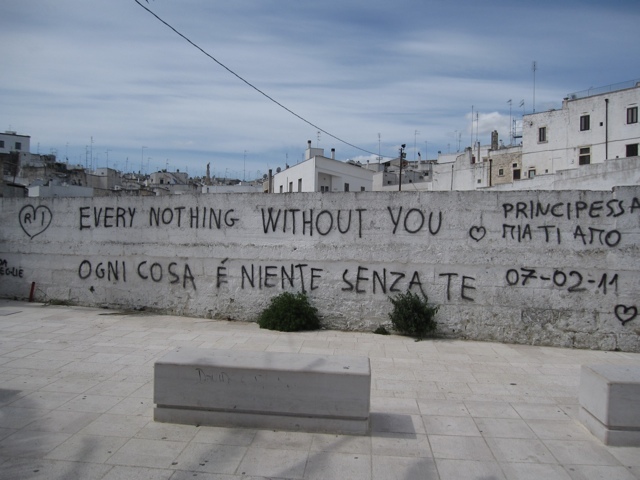 Post by Wynette: We saw a lot of graffiti around Naples/Sorrento/Lecce. Here in Ostuni there isn’t much graffiti. What there is all seems to be declarations of love.